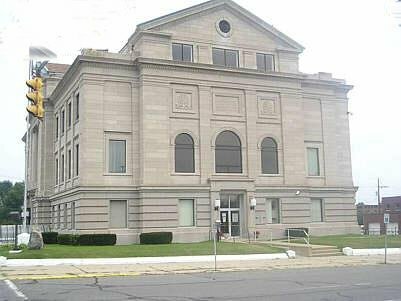 "Other Holdings Within and Outside of LaPorte County"
LaPorte County holds the distinction within the state of Indiana, to be the only county with two County Court Houses. 1832 to the present day. Both Libraries have the following holdings. Birth Records 1941-70 - contains petitions to establish certificates of births for which the original certificates were lost or not issued - for births occurring ca. 1875-1943. Common Pleas Order Book 1853 - 1876 - Volumes include surname indexes. Court Records 1832 -1922 - include indexes. Mostly probate records and some guardianship orders. Deed Records 1833 -1901 - indexes to grantees and grantors 1832 - 1903. Includes general indexes, as well as surname indexes in most volumes. Enlistment Records of Soldiers 1919-1932 - includes surname indexes. Partition Records 1853 -1926 - Contains records of proceedings to partition real estate in probate causes, showing dates of court term, petitions and filing; names of estates, administrtor, and heirs, location, description. Soldiers Discharge Record 1865 - 1898 - Record of honorable discharges from U. S. Military Service showing dates of enlistment, discharge and recording; name, age, rank, color, address, service record of veteran, physical condition when discharged, marital status, etc. Tax Deed Record 1863 - 1923 - Record of deed titles derived from sale of property for taxes. 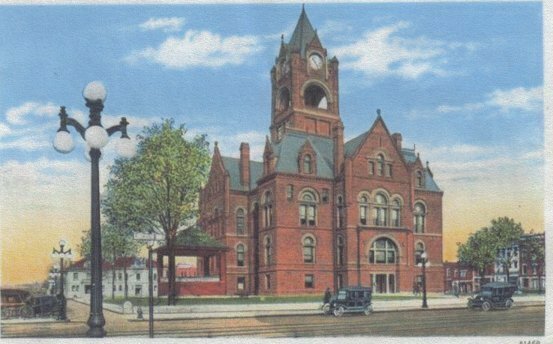 Will Records 1844 -1921 - volumes include indexes Will Records Michigan City 1898 - 1920.